Alexis has been at the salon working full time from the beginning with Angela- from party girl to Mummy of a lovely little boy, Alexis now works part time in the salon. 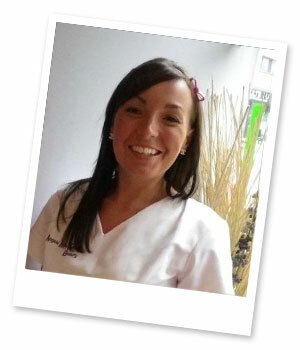 Alexis is HND qualified in all beauty treatments, specialising in Shellac Nails, waxing reflexology and CACI facial treatments. Alexis is also very involved with the running of the salon and trying to control Angela! Alongside working in the salon and her mummy duties; Alexis is a fully qualified lecturer for Beauty Therapy.